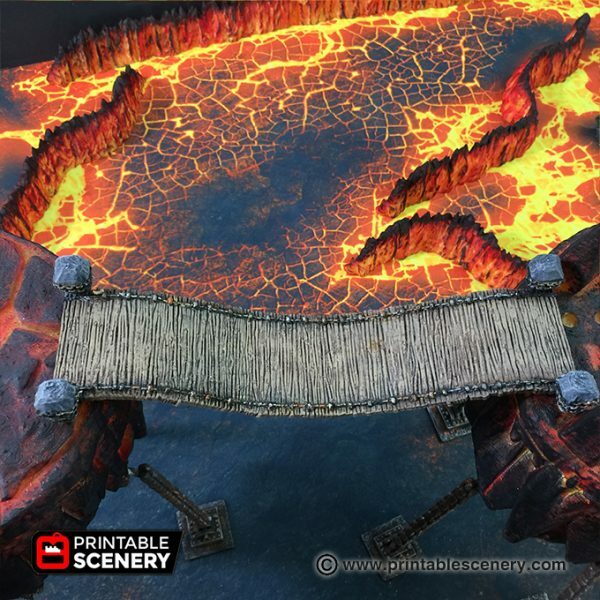 Bridges built to cross streams in the elven forest of the Gloomwood, chasms in the dwarven kingdom of Ironhelm or the floating hell spikes in the realm of demons. 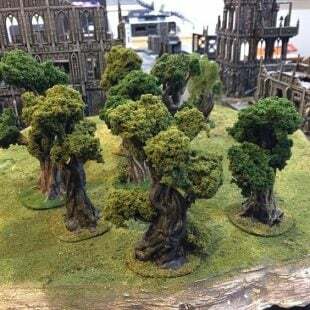 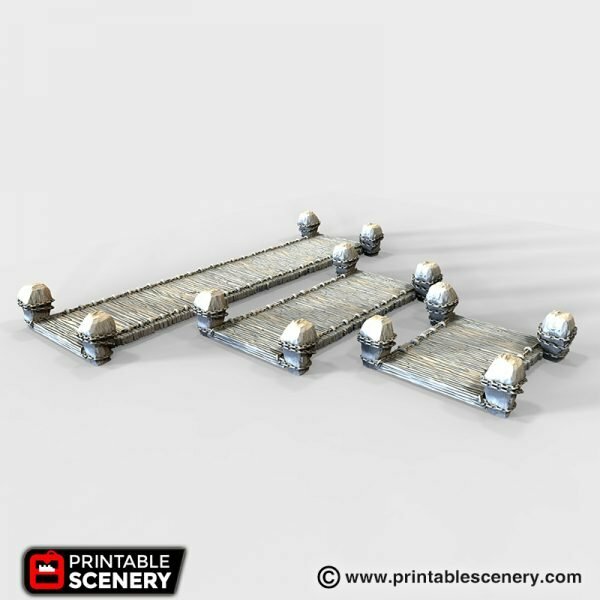 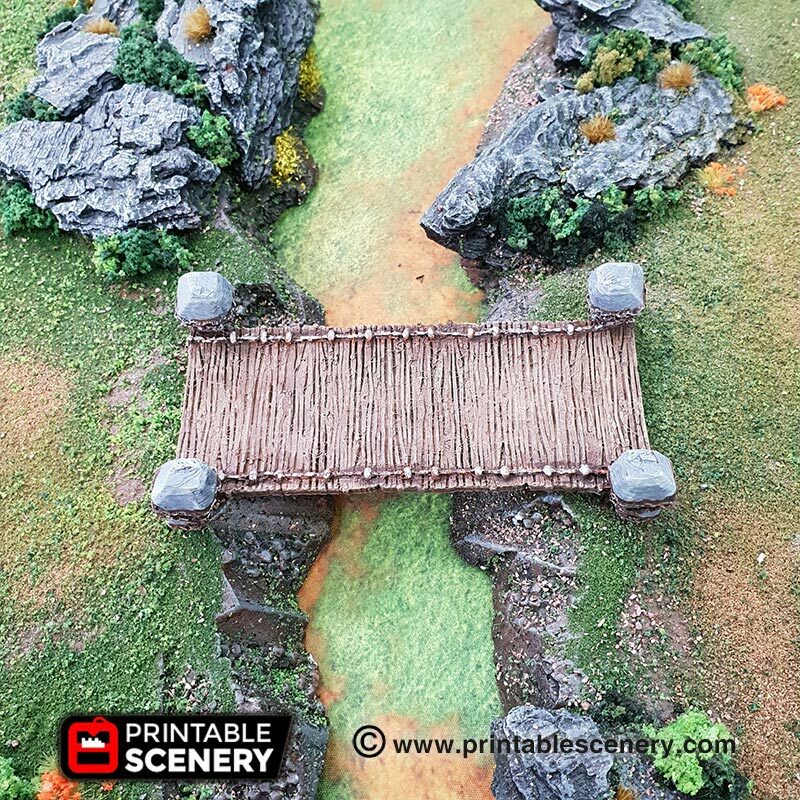 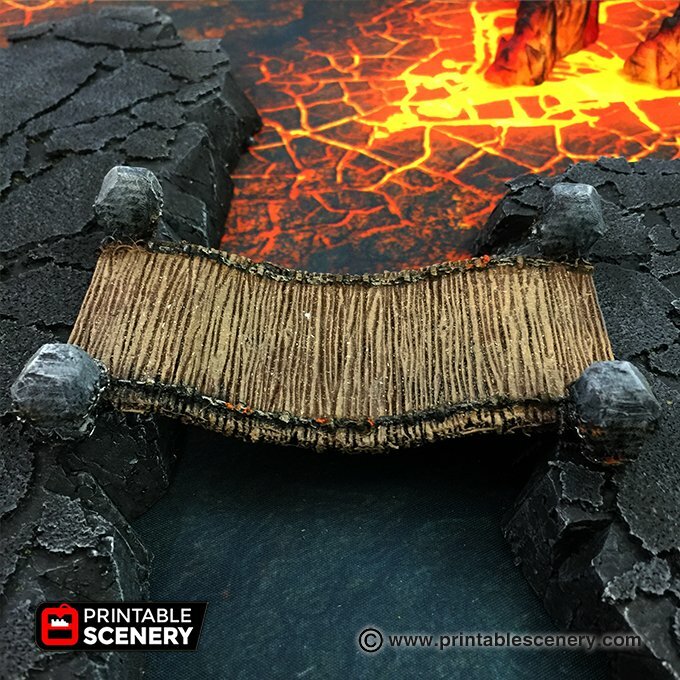 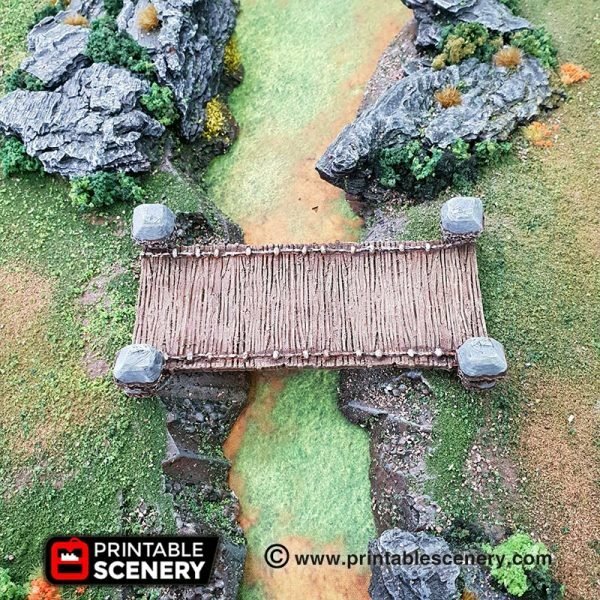 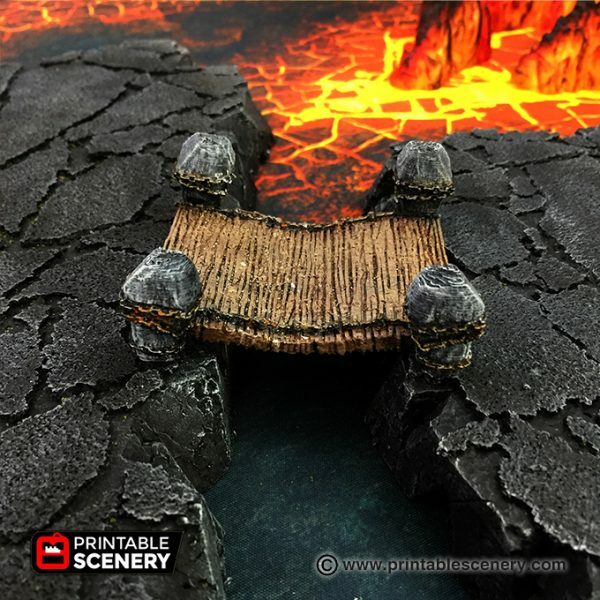 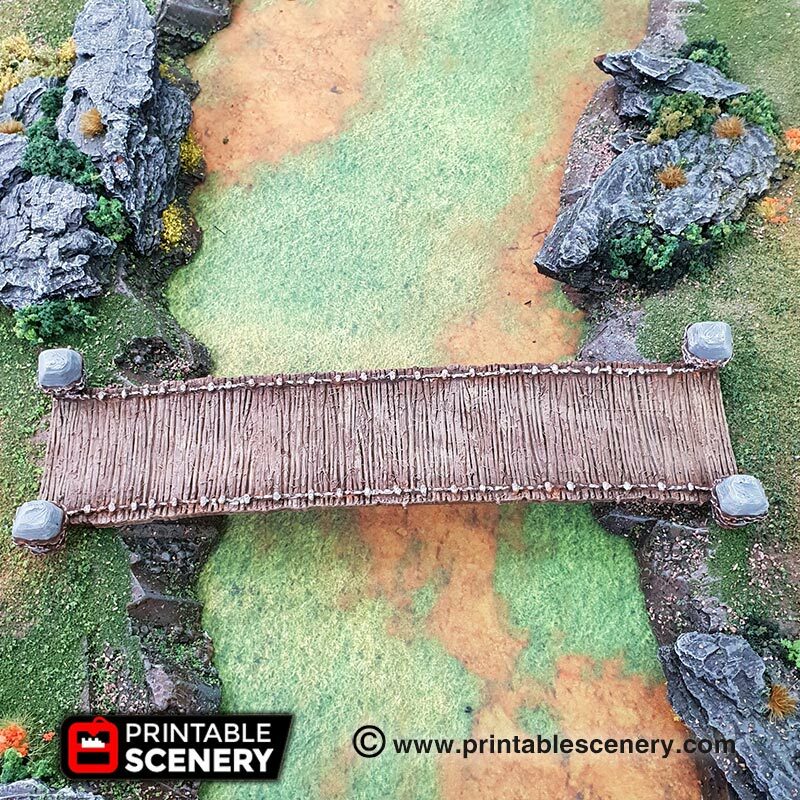 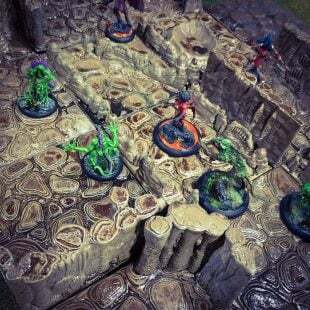 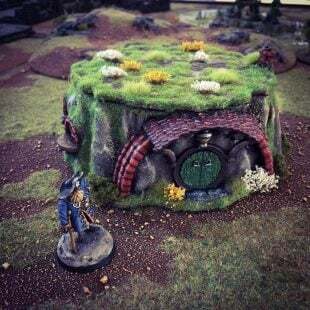 The Chasm Bridges can be used for fantasy role-playing or table top war games. 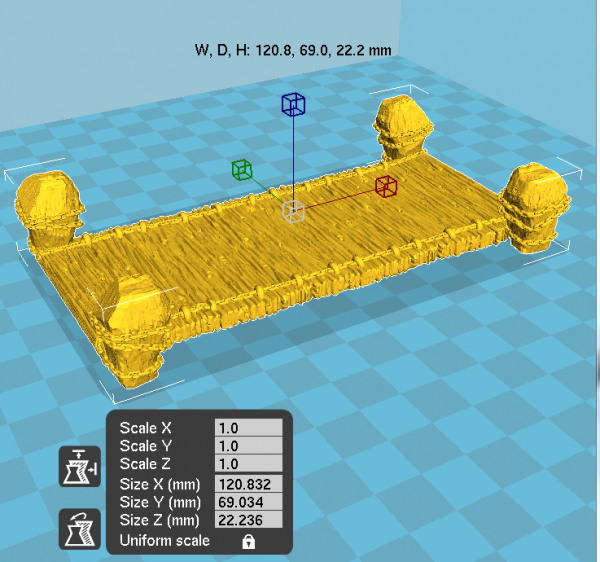 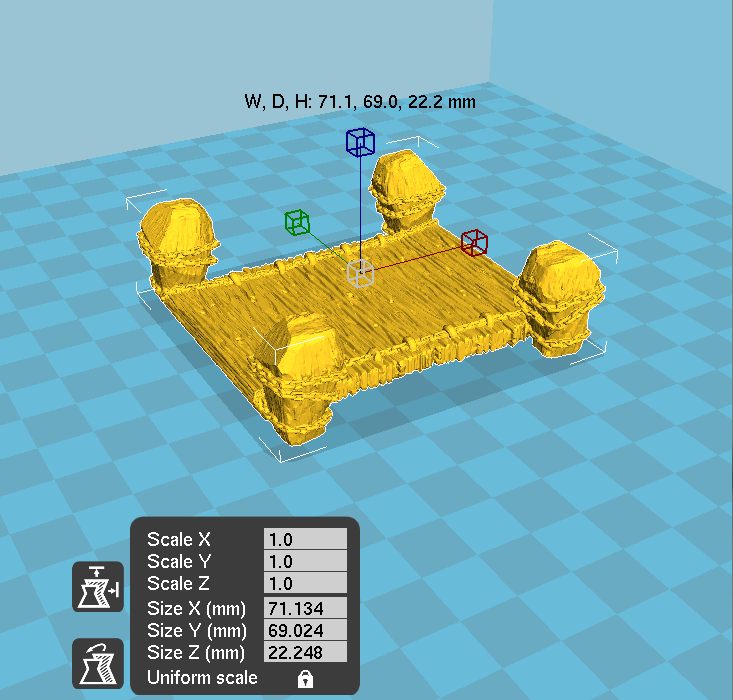 The bridges print with supports touching build plate. 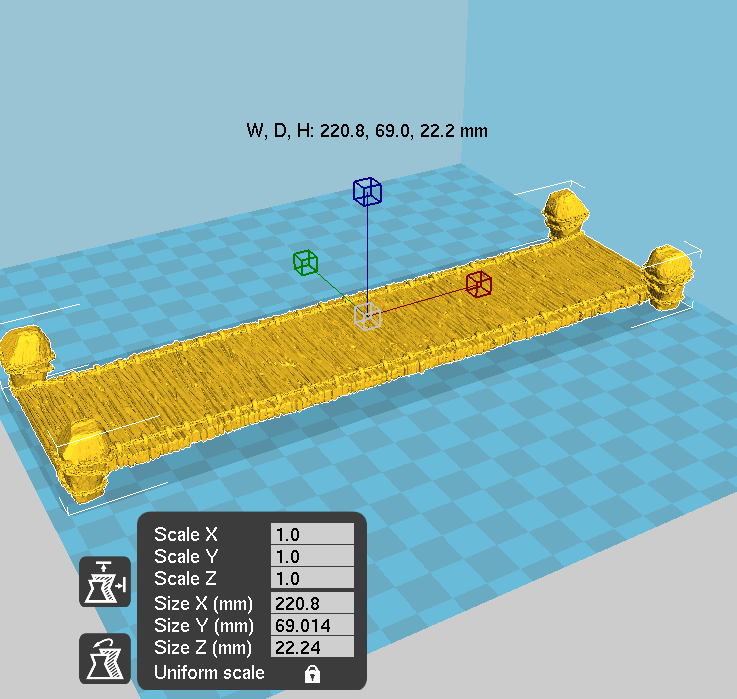 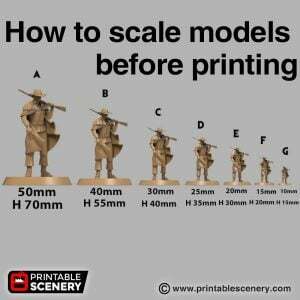 There is a version which prints flat on build plate. 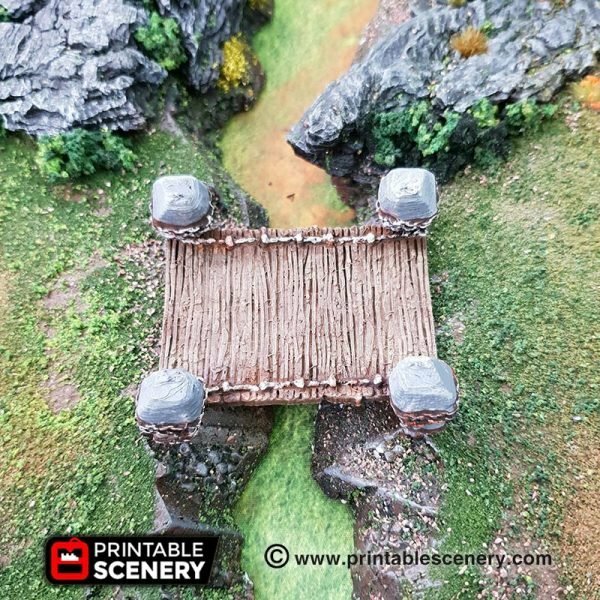 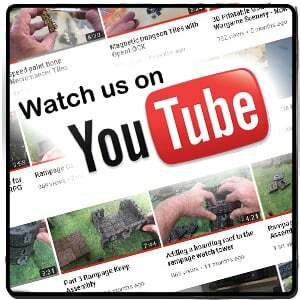 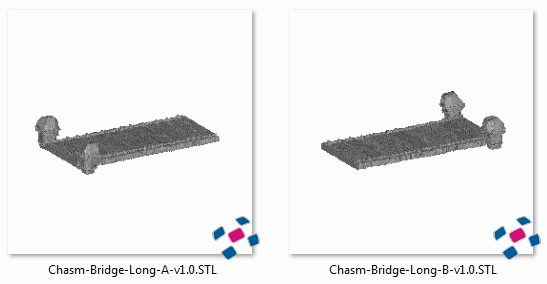 To bend the chasm bridges check out the How to bend the chasm bridges guide.